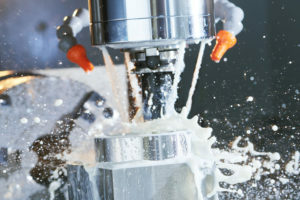 If you have a product that needs to be manufactured—and you’re not sure of the best sub-contractor to handle the job—we invite you to contact CMC. 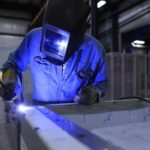 When you need a specific type of fabrication done, the solution is one phone call away. 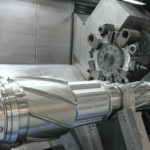 CMC can meet all of your fabrication needs. Need to outsource or supplement engineering services? Turn to Coulombe Manufacturing Consultants, your source of world-class quality at the lowest price. When your business needs a specific type of manufacturing . . . fabrication . 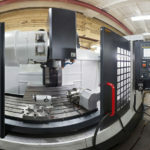 . . or engineering—and you’re not sure which sub-contractor would best meet your needs—turn to Coulombe Manufacturing Consultants (CMC). We’ll professionally review the exact requirements of your job, then fit you with the perfect sub-contractor to meet your needs. And we’ll do it in a way that assures you superior quality at the lowest possible price. Thanks to our 25 years of extensive experience in the field, we enjoy excellent relationships with scores of talented, reliable manufacturers and sub-contractors across the U.S. and internationally. These ongoing partnerships allow CMC to critically evaluate suppliers and processes. Then we draw from our extensive “Rolodex” to match you with the ideal sub-contractor. CMC was founded by Ivan Coulombe, who is a certified Lead ISO (International Standardization Organization) Auditor, granted to him by LRQA (Lloyd’s Register Quality Assurance). Ivan’s credentials assure that only the most qualified sub-contractors are accepted and approved. By using CMC as your “one-stop-shopping” resource, you’ll enjoy reduced headaches and reduced costs—while you get the high-quality, lowest-possible-priced manufacturing, fabrication, or engineering you need. Contact Coulombe Manufacturing Consultants for a quote today!